2 anchor can coolies - Captain and First Mate. Fits average soda can. Skipper cap is adult size: Aprox 22" in circumference. 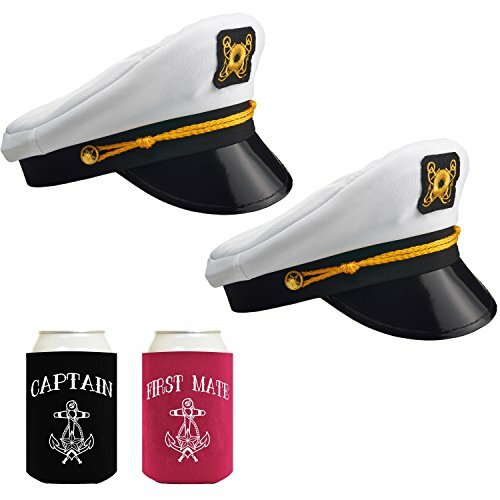 Awesome party hats and coolies for a nautical themed birthday party, bachelor and bachelorette parties, costume parties or any occasion! If you have any questions about this product by NJ Novelty, contact us by completing and submitting the form below. If you are looking for a specif part number, please include it with your message.